Cruiser, bowrider, freshwater fishing, runabout, sailboat, saltwater fishing, speed boat, trawler, pontoon, or watersports boats – which is right for you? We’ll help you make the best choice. Whether you’re a beginner boater who’s still trying to figure out basic boat terminology or an old salt who stays in tune with the latest boat design trends, you probably know that choosing the ideal boat for you and your family is no simple endeavor. Different kinds of boats can be broken down into dozens and dozens of categories, but chances are that no matter what you enjoy doing out on the water. Read on, to learn all about each of these boat types. Is a bowrider the best bet? Could a cruiser be in your future? Or, is a trawler at the top of your list? Bowriders come in all shapes and sizes; their defining characteristic is an open bow cockpit with seating. Bowriders are one of the most popular types of boats on the water. It’s no wonder—this versatile design can be used for everything from simple day-tripping to water skiing. And while in the past bowriders were limited in size and scope, recently we’ve seen a push towards larger and larger models, often with accommodations ranging from enclosed heads to full-blown cabins. The most extreme example is the Four Winns H440, a monstrous boat with a bow cockpit accessed by walking through a saloon with niceties like a full galley and a settee. Other large bowriders that have hit the market recently include the Sea Ray 350 SLX and the Cruisers Yachts 328 Bowrider. Most of us, however, will be more interested in the classic bowrider styles in the 18’ to 26’ range. These are far less expensive than the bigger versions, yet they still enable a family to enjoy a long list of waterborne activities. Most are powered by stern drives, though there are plenty of outboard options out there, too. Due to the latest emissions regulations the cost of stern drives has gone up a bit and evened the playing field with outboards as far as cost goes. There are plusses and minuses to each power choice; read Outboard Engines on Bowriders: A Match Made in Heaven? to learn about the trade-offs of each. What’s the down-side to choosing this design? As is often the case, maximizing versatility means minimizing specificity. While bowriders are good for a lot of different activities, they aren’t absolutely ideal for any one activity. Also, remember that the vast majority of bowriders are relatively unprotected boats and are only meant for use in good weather. If you think a bowrider might be the best bet for you and your family, be sure to read Bow Riders: 10 Key Considerations Before You Buy. Check out thousands of bowriders that are currently for sale on boats.com. Cruisers are great for extended vacations, trips to distant ports, and just playing around out on the water. Aft Cabin Cruisers—Aft cabin cruisers have a cabin located all the way aft in the boat for space and privacy. 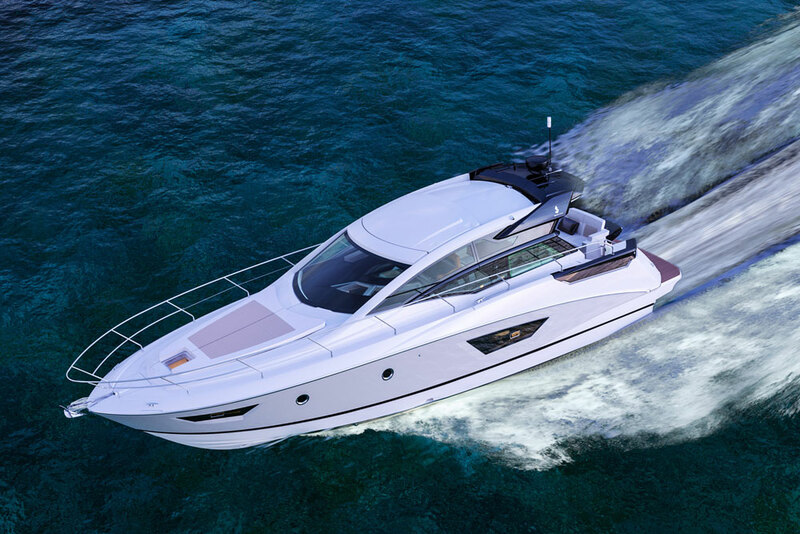 The down-side to this design is that it restricts outdoor space quite a bit, and on some aft cabin cruisers, the flybridge steering station may be the only spot in which you can enjoy some sunshine. Though they were very popular years ago, today few true aft cabin cruisers are built. One exception is the Broom 430 Aft Cabin. And if you really like this design, there are plenty of used aft cabin cruisers on the market. Convertibles—These are cruisers with a flying bridge, like those found on the Silverton 36, or the Tiara 50. Although many convertibles are designed for saltwater fishing (more on these, later) a good number are also designed for simple pleasure cruising. They almost always have a steering station up on the bridge, and many have a second one down below in the cabin. That makes them a good choice for people who expect to be out in all kinds of weather. If you regularly pass under low bridges, however, owning a convertible can be problematic, to say the least. Many people also prefer the sleeker looks of some other types of cruisers. Express Cruisers—This category of cruiser is low-slung and fast, with a cockpit aft, a helm deck amidships, and staterooms forward. Some good examples of express cruisers of various shapes and sizes are the Jeanneau Leader 36, the Hunt 44 Express Cruiser, and the Sunseeker Predator 68. While they don’t have the elevated, open steering stations found on boats with a flybridge, many modern express cruisers do have opening sunroofs and plenty of windows, so enjoying fresh air and sunshine is no problem. Read Choosing the Perfect Express Cruiser, before you go shopping for one of these boats. Motor Yachts—Just where does one draw the line between a motor yacht and other types of cruisers? It’s debatable, but most people would agree that once you go beyond the 50-foot mark with boats like the Outer Reef 580, much less a boat like the Princess 75 Motor Yacht, the term most certainly applies. And while the price tag for a true motor yacht can be rather extreme, when it comes to luxury, this type of cruiser can’t be beat. Read Motor Yachts are the Best Luxury Cruisers, to find out why. Pocket Cruiser—A very small cruiser with limited accommodations (usually for just one couple) is called “pocket cruiser”. Sometimes these even drop beneath the 30’ mark, with boats like the Cutwater Solara 24. They’re often popular with retired couples, who want to explore new places but not necessarily live aboard the boat, or make extended voyages. Leaf through the 10,000-plus listings for cruisers found on boats.com. Ready to chase those freshwater finned critters? You will be, with a boat like this. Whether you want to go casting for bass or trolling for lake trout, a freshwater fishing boat is a must-have. And while there are numerous sub-categories and specialized, species-specific boats out there, we’re going to break this category down into three main choices that encompass the range: bass boats, multi-species boats, and aluminum fishing boats. Bass Boats—These are highly specialized boats with only one mission in mind: catching largemouth bass. To accomplish this goal, they’re lightning-fast, equipped with accessories like bow-mounted electric trolling motors and high-tech fishfinders, and they have livewells that keep the catch healthy until it’s time for weigh-ins at the tournament dock. All these goodies do, however, carry a cost, and foot-for-foot bass boats tend to be some of the most expensive freshwater fishing boats around. Since they’re so specialized, they also aren’t ideal for many other forms of fishing. You say you’d like to check out some of the hottest bass boats on the face of the planet? 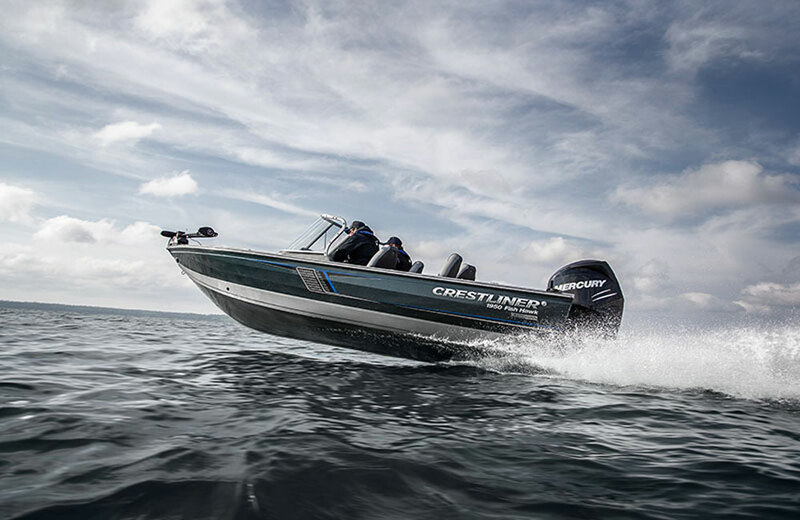 Read 10 Bass Boats that Will Blow You Away: Cast Action Heroes. Visit some bass boat listings. Multi-Species Boats—These predators of America’s inland waterways have a more diverse appeal than bass boats, so they come in a wider range of flavors. Some have open side-consoles, some have tall protective windshields at the helm, and some even have center consoles. Ready to look at some examples? Both the Princecraft Sport 177 and the Skeeter MX 2025 are multi-species boats, even though they’re quite different in nature. They do, however, share one thing in common: fishing. As a result, most multi-species boats have livewells, rod boxes, pedestal-mounted seats, and other fishing accouterments that help you get those fish out of the lake, and into the frying pan. The vast majority are powered by outboards, and are appropriate for use on a wide variety of waterways. Aluminum Fishing Boats—One of the most popular boats on the face of the planet is the simple aluminum jon boat. And while there are certainly lots of more developed aluminum fishing boats out there, including multi-species boats made of aluminum, one thing all aluminum fishing boats share in common is a significant price advantage. Consider the Polarkraft Kodiak Sport, which comes fully equipped—including a trailer and a 90 HP outboard—for less than $25,000. Or check out the Lowe Stinger 175, which can be had for under $15,000. Or, go shopping for one of those simple jon boats. Comparatively speaking, you’ll be blown away by how affordable they really are. No, most don’t look quite as nice as fiberglass boats, and it’s true that some ride rather rough, but aluminum has several other advantages, too. To get the full scoop on this class of boat, take a gander at Aluminum Fishing Boats: Light, Economical, and Seaworthy. Yes, there are plenty of aluminum fishing boat listings for you to check out, too. Pontoon boats are incredibly popular, and once you spend some time aboard a modern version, you’ll understand why. Whether you’re on a lake in Arizona or a bay on the Atlantic Seaboard, you’re probably going to see plenty of pontoon boats. Instead of riding on a fiberglass hull, these boats have two or sometimes three aluminum “logs” they float upon. Once upon a time they were slow and pokey, rather ugly, and not very seaworthy, but these are all problems of the past. 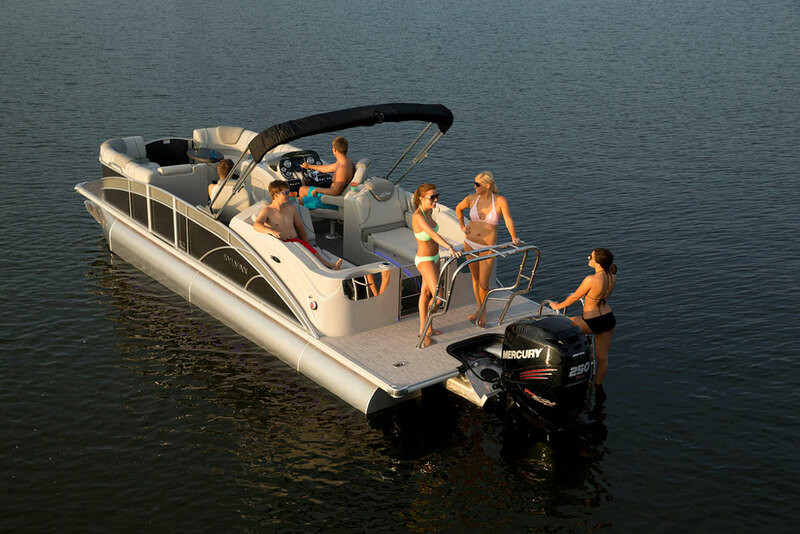 Today, pontoon boats can be fast, slick-looking, and shockingly comfortable to ride on. True, they still aren’t the best pick for bodies of water that regularly experience large waves. But they’re extremely stable, they have gobs of deck space, and their modular nature means you can choose from endless seating arrangements and even add things like wet-bars, towing arches, and more. Check out the Premier Sunsation 270, for example, and you’ll discover a double-decker, triple-log pontoon with twin Yamaha F300 outboards and a water slide that shoots you into the lake from the second story. Pontoon Boat Basics will help you figure out the ins and outs of this class of boats in detail. You should also read The Outboard Expert: Outboards for Pontoon Boats, because pontoons do have some special needs, when it comes to choosing the right outboard motor. And if you still think of grandpa’s party barge when the topic of pontoons comes up, give us the chance to change your mind by watching our Performance Pontoon Boats Video: The Need for Speed. Spoiler Alert: Yes, we do break 60 MPH on a production pontoon boat. Visit some current pontoon boat listings—we have well over 20,000 of them right now, on boats.com. There’s a wide variety of runabout on the market, but all make for days filled with fun on the water. The term “runabout” is really a catch-all that includes everything from bowriders to combination ski-and-fish boats to small speed boats. The thing these all share in common is that they’re small, open boats intended for day use in fair weather. 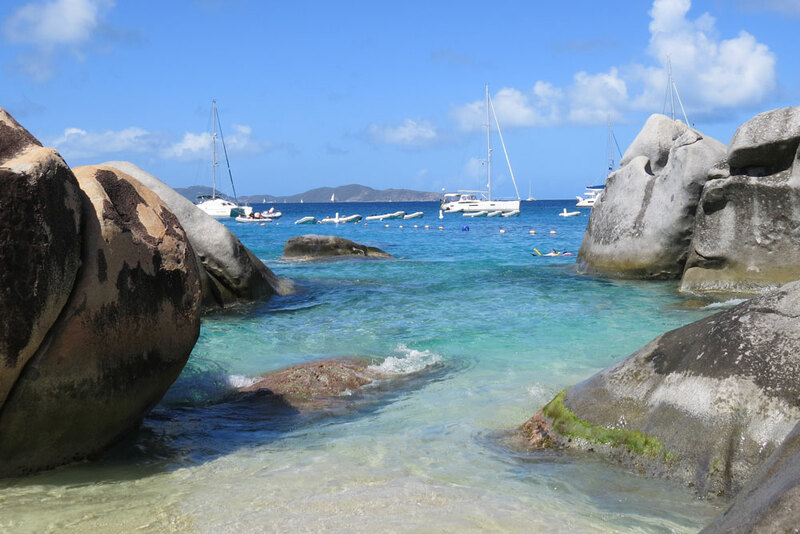 And while their exposed nature will be considered a drawback by some boaters, it should be considered an advantage, too—you don’t buy a boat to get away from the sunshine and spray, do you? 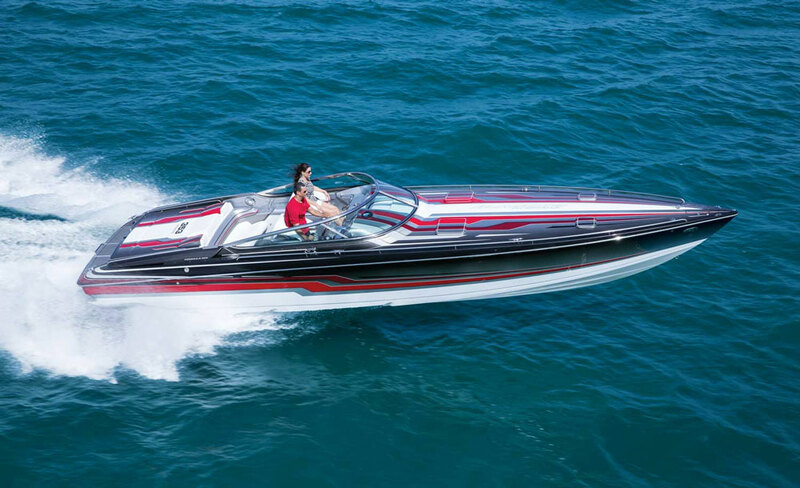 Learn more about this broad class of boats by checking out our Runabout explore page, or find out which new runabouts topped our list in Most Affordable Runabouts. Here are the runabout listings you were waiting for. Let the wind do all the work, and cruise across the bay in peace and quiet. Sailing isn’t for everybody. It requires developing skills in setting the sails and steering to the ever-changing wind. 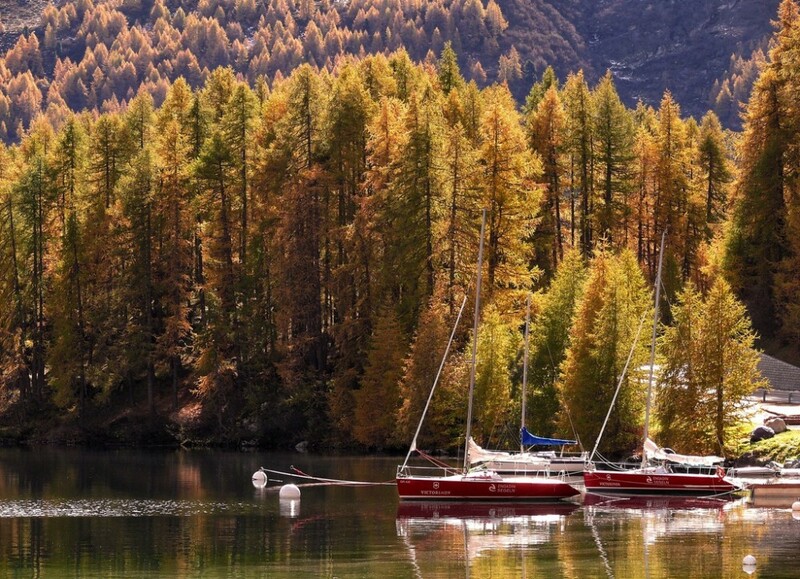 But if you’re the type for whom the journey can be at least as rewarding as the destination, and an environmentally friendly ride is also important, consider choosing a boat with a mast and sails. 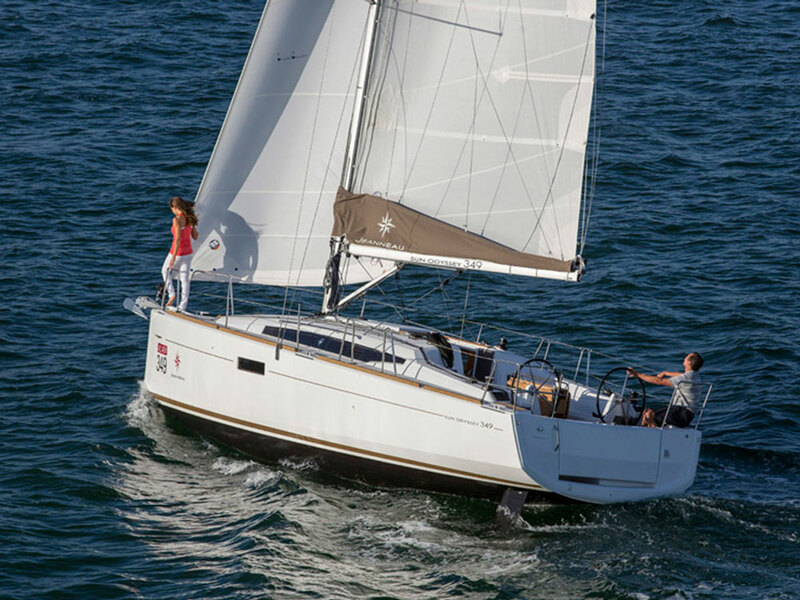 For more on this, read Five Reasons You Should Own a Sailboat. Daysailers—Usually 13 to 30 feet in overall length, daysailers are open-cockpit boats with one or two sails that can set you and a small crew free quickly to listen to nothing but the sound of your own bow wave and the wind in your sails. Many daysailers, like the Catalina 275 Sport also carry a small outboard engine for those days when the wind dies or there is a tight entrance into the harbor. 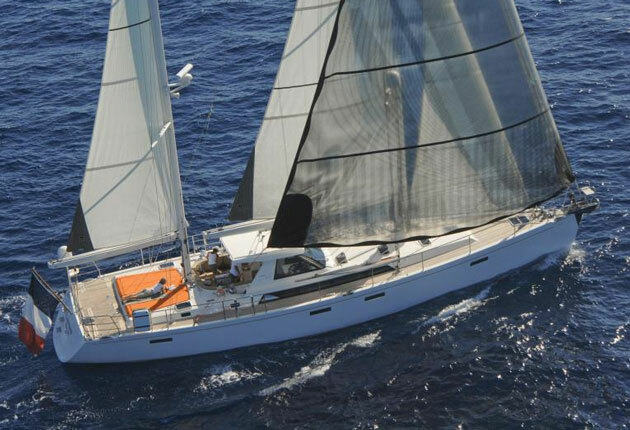 Cruisers—At its most complex, a fully fitted sail cruiser can be your transportation and your home on an adventure that takes you away for the weekend to a nearby island, or a few years in the South Pacific. Boat range from pocket cruisers of 20 to 30 feet like the Com-Pac 23 up to luxurious 60-footers with several cabins like the Amel 64. Performance/Racers—If you’d like a sailboat with an extra turn of speed, there are many lightweight designs, including multihulls like the Corsair Sprint. Sailboat racing is another world—an intellectual as well as athletic competition in which you can race in a variety of formats and boats from modern carbon-fiber raceboats and wooden classics, to foiling dinghies and ultralight catamarans, and even heavy cruising sailboats headed to distant shores. For more on sailboats, see our story on Sailing Terms: Sailboat Types, Rigs, Uses and Definitions. Once you feel like you’ve got a handle on things and it’s time to start shopping, you can visit these sailboat listings. Also be sure to check out our How to Sail a Boat article and video, which will help you properly hoist your sails and trim your lines. The fish will be quaking in their boots, when you get a saltwater fishing boat like this. Bay Boats—These low-slung, shallow draft boats are designed to ply inshore waters. Many larger models, like the Pathfinder 2600, also offer some offshore capabilities. Others, such as the Ranger RP 190, are designed for smaller waters but cost a whole lot less. 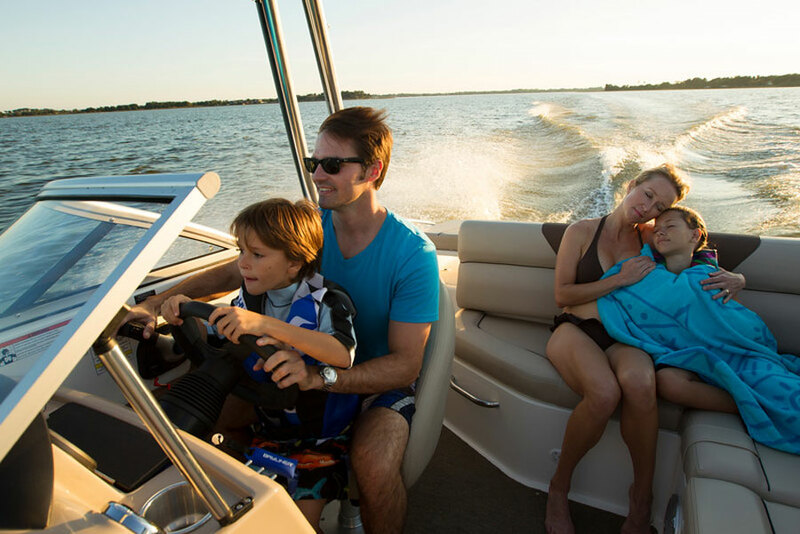 Virtually all bay boats are also center consoles, and are powered by outboards. Most don’t offer much in the way of creature comforts, but some do have heads in the console, or snap-in cushions that turn the casting deck into a sunpad. 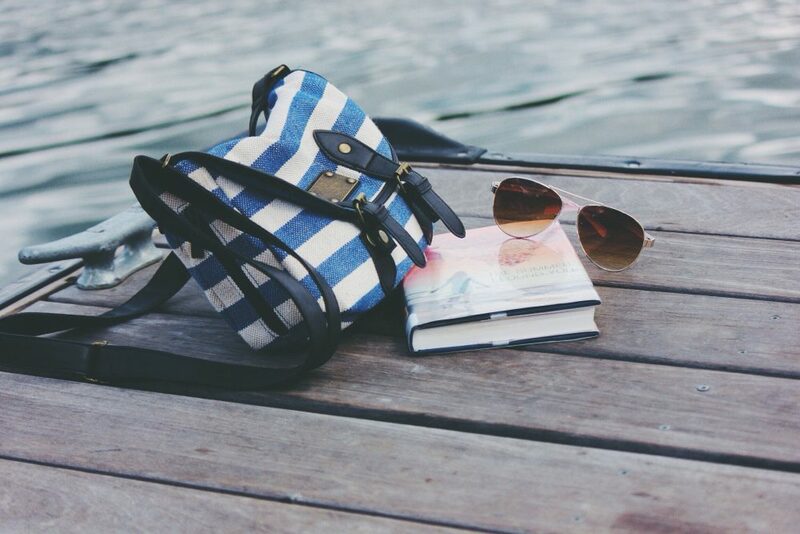 Get the scoop on this design by reading our Bay Boat explore page. Center Consoles—These are the most popular saltwater fishing boats of all, and you’ll find them ranging from dinghy-sized all the way up to the world’s largest center console, the Hydra-Sports 53 Suenos. Like bay boats, a lack of creature comforts is a common complaint on center consoles. But many manufacturers make versions of their fishing boats that are quite cushy, these days. Look at the Boston Whaler 420 Outrage, for example, and you’ll discover a console cabin with a settee and television, a bow cockpit with luxury seating, and a “summer kitchen” with an optional built-in electric grill. Read our Center Console explore page to learn about some of the other options you may want to consider, when looking at center console fishing boats. Convertibles—Offshore anglers who want the comfort of a big cabin often opt for a convertible. These boats are usually inboards or they run on pod drives, but their most significant defining features are large aft cockpits and tall flying bridges. Inside they’re often rather opulent for fishing boats, especially on big and bodacious models like the Viking 80. However, even the smallest sportfishing convertibles, like the Laural Point 36, are quite comfortable inside. 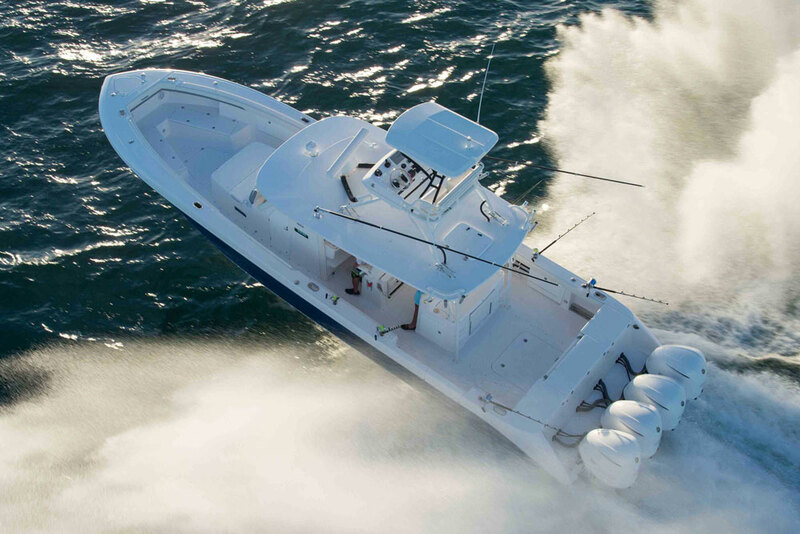 Expresses—Some offshore captains prefer express-style fishing boats, since they keep the helm closer to the action. On an express, you can dart from the wheel to the rod in a matter of seconds. But they do lose a lot of cabin space as compared to a convertible, since there’s a bridgedeck where the saloon would otherwise be. The convertible-versus-express debate has raged among offshore anglers for years, and you can hear both sides of the story in Convertible Vs Express: Which is Best for Bluewater Fishing. Walkarounds—Smaller fishing boats with cabins that have side-decks around the topsides are called walkarounds. They’re a good compromise for many folks who need to have a cabin but also want to reclaim some of the bow area to use for fishing space. This design isn’t quite as popular as it once was but you can still find plenty of examples out there, like the Robalo R245, or the Parker 23. To learn more about saltwater fishing boats in detail, read Saltwater Fishing Boats. 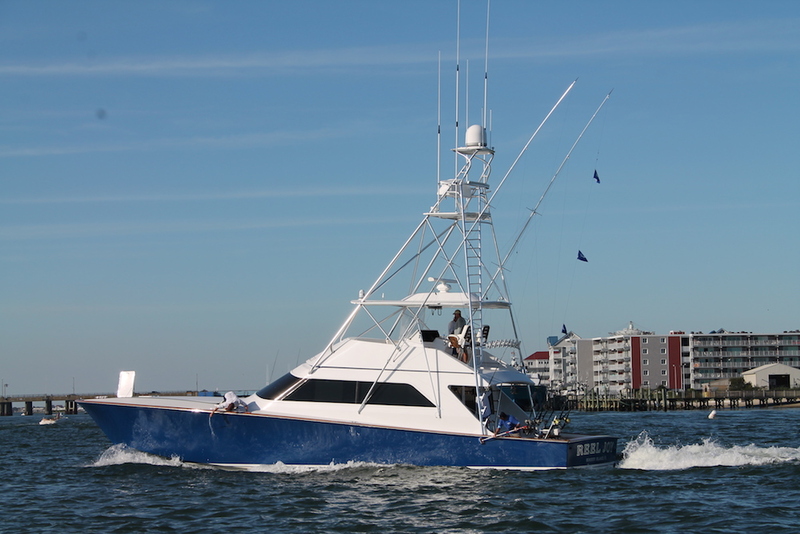 To start your shopping spree, see these saltwater fishing boats listings. When you’re ready for neck-snapping acceleration and eye-watering top-end, it’s time to get a speed boat. Speed junkies, get ready to rumble. Fast speeds are utterly hair-raising, when experienced aboard a boat. While it’s true that speed boats do make a lot of sacrifices to squeeze out every possible MPH (cabins are small and devoid of accessories to keep weight down, they’re often quite loud, and seating space is limited), if you want a real thrill ride, there’s simply no substitute. All speed boats are not, of course, created equally. 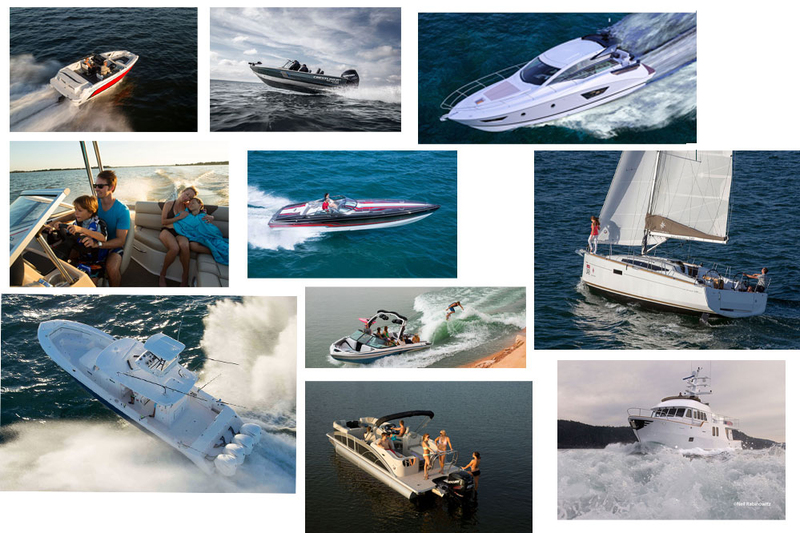 We delve into the differences, in our High Performance Power Boats explore page. Check out some speed boat listings. Trawlers enjoy a small but dedicated following. These are slow-and-steady cruisers, patterned after commercial fishing trawlers but built today with comfort and range foremost in mind. They’re often single-engine boats which perform most efficiently at relatively slow speeds of seven or eight knots, yet many also have the power to get on plane and run at or close to 20 knots—albeit at the sacrifice of efficiency—when a quick return to port is necessary. Trawlers come in many sizes, ranging from boats like the Beneteau Swift 30, to the opulent Nordhavn 52. If cost is a concern, you may want to check out the boats we ID’d as good buys in Five Affordable Trawlers Under 40 Feet. Visit some trawler listings and see if you spot your next boat. Hang 10 or hang on—either way, getting out of the boat and into the water ensures thrills and spills. Wakeboarding, water skiing, and the latest watersports craze—wake surfing—are all enjoyed behind the transom of a watersports boat. Also known as “tow boats,” this genre has a towing point for watersports, which is often elevated on an arch or a pole that mounts at or near the transom. 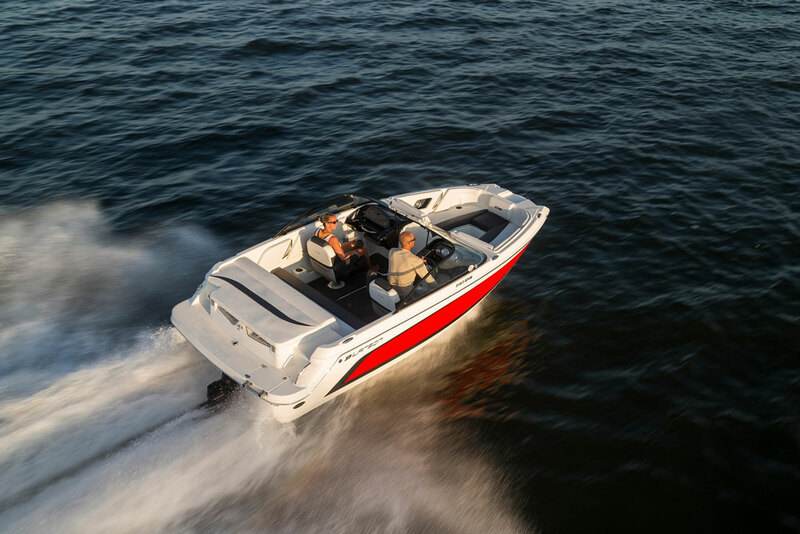 The latest and greatest models, like the Mastercraft X26 or the Super Air Nautique G25, can be outfitted with special trim tabs and water ballast tanks that let you boost wave size and even “shape” wakes for better surfing and boarding. Watersports boats usually have either inboard V-drive or stern-drive power, but serious boarders commonly prefer inboards. This may be changing, however, with the advent of Volvo Penta’s Forward Drive. This unique system mounts a forward-facing drive unit on a stern-drive, which moves the propeller far forward under the boat to enhance safety. At the same time, since the drive is trim-able (unlike inboard shafts) it gives the captain one more way to shape the waves. The down-side to dedicated watersports boats is a lack of versatility. Sure, you can still take one across the river to your favorite restaurant. But activities like fishing, overnighting, and (due to increased draft) even beaching the boat are rather impractical. These are specific boats that fulfill a very specific niche, which you can learn more about by reading Watersports: All Things Towable. 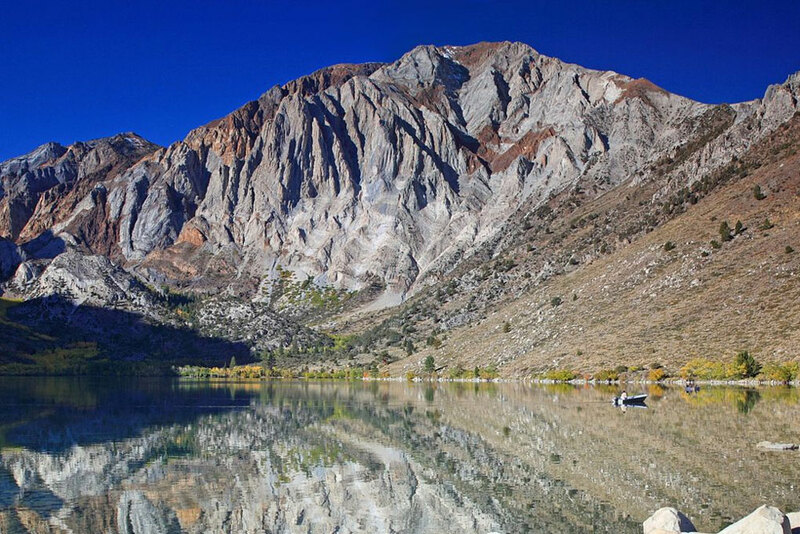 Or, if your mind is already made up, just go ahead and take in all these ski and wakeboard boat listings. Well, have you made up your mind? 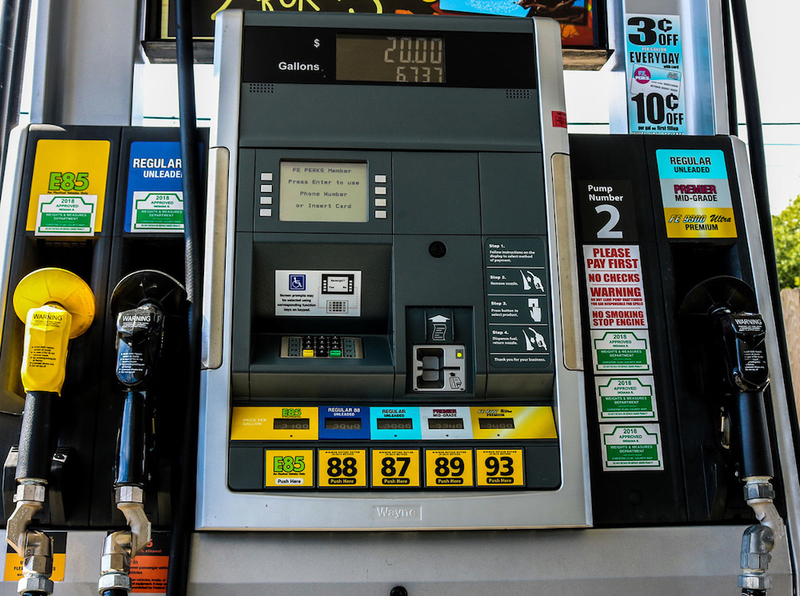 Have you culled through all these choices, and landed on a winner? If so, congratulations—now get busy, and start boat shopping. If not, we’re jealous. Because the only way to really know which boat’s best for you is to get out on the water, and try ‘em out. So again we say congratulations—your indecision means that now, you need to go out on as many different boats as possible, as often as possible, until you make up your mind. Good luck, dear boater, and have fun. Lots and lots of fun. Editor's Note: This article was originally published in July 2016 and updated in September 2018.